This is a re-post from last year. 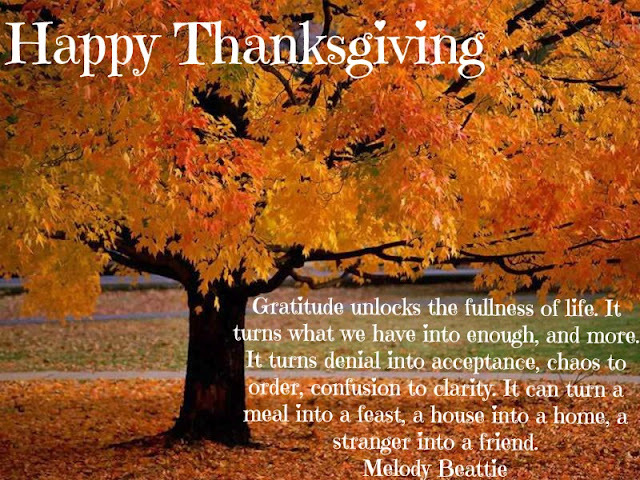 It so fits the theme of gratitude and is my official movie to kick-off the holiday season. 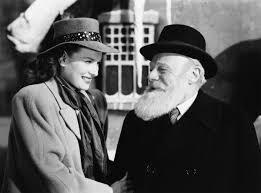 We lost Maureen O’Hara (Doris) last month (more on the late actress here) so this is also a tribute to her career and role in this holiday classic. Enjoy! 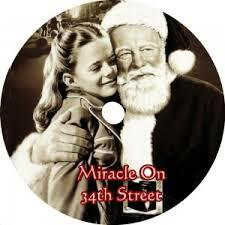 Today marks the start of the holiday season, but it doesn’t officially kick off for me until I’ve watched the Thanksgiving Day Parade and one of my favorite holiday films, Miracle on 34th Street (1947). 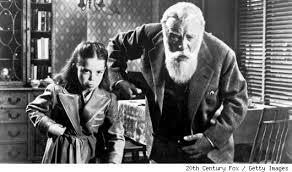 Natalie Wood was precious as Susan, the precocious daughter of Maureen O’Hara (Doris) who doesn’t believe in fairy tales and attends a “progressive” school. Natalie Wood had an illustrious career until her death in 1981. She was able to make the transition from child star to ingenue starring opposite James Dean in Rebel Without a Cause (1955) and Warren Beatty in Splendor in the Grass (1961). Known as a loving, giving person, as well as a star, she’s always had a special place in my heart. Doris is cynical as a result of a bitter divorce so she’s raising her daughter to be practical and sensible. None of this believing in fairy tales and Santa crap. All was going well until Doris – the Macy’s parade coordinator – asks Kris to replace the drunken Santa originally set for the Macy’s Thanksgiving Parade. Kris is a big hit and becomes Macy’s official Santa resulting in a personal relationship with Doris and Susan. Kris is an immediate influence teaching Susan it’s okay to pretend after she tells him the other kids don’t play with her because she won’t join in their game and act like a zoo animal. The production took flack from the Catholic League of Decency because how dare you depict a divorced woman with a successful career and a young child as a “normal family.” Yep, 1940’s mentality and morality were hard at work. Susan learning to act like a monkey! Just as Doris is learning to have more faith in life and Susan is embracing imagination, Kris’s sanity is questioned and a legal battle ensues to prove that not only is he sane but the one and only Santa Claus. Fred (John Payne) who is Kris’s lawyer and Doris’s boyfriend, understands the importance of the spirit of Santa especially in the lives of Susan and Doris. 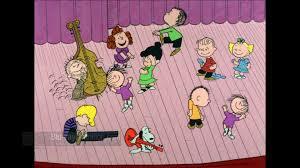 Kris is exonerated and Christmas day has arrived. Susan has asked for a very special present and is disappointed at the Christmas party to see it isn’t under the tree. 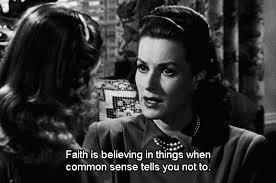 Doris, in a refreshing change of heart, tells Susan she must have faith. 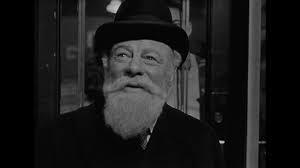 But, Santa Claus moves in mysterious ways and in the end teaches them both the true value of faith and miracles. Cheers to Faith and Miracles! Oh, please don’t ask why, no one quite knows the reason. 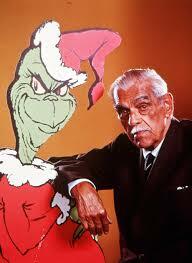 Theodor Seuss Geisel aka Dr. Seuss is one of the most significant authors in American literature. 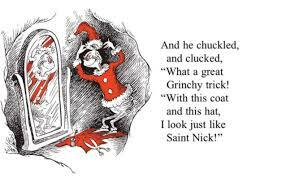 His classic book, “How the Grinch Stole Christmas” has been a lifelong favorite. Known as a children’s author, Dr. Seuss’ cadence and rhyming style (anapestic tetrameter) is both renown and his signature. I believe his gift lies in his ability to convey his philosophy of life in a playful, endearing way. Most of us grew up reading Dr. Seuss and escaping into the wonderful worlds he shared. 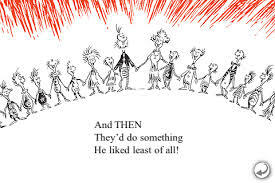 His other bestselling books bring back precious memories: Green Eggs and Ham, The Cat in the Hat, The Lorax, One Fish Two Fish Red Fish Blue Fish, and Horton Hears a Who! 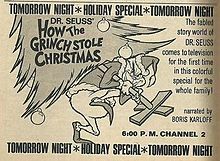 In this version of the story, we don’t really know why The Grinch hates Christmas and the residents of Whoville. 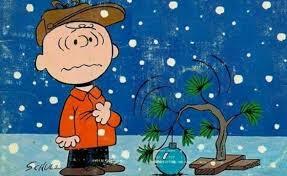 Just that his heart is 2 sizes too small. 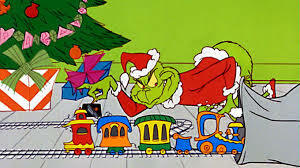 However in the Jim Carrey movie version of Dr. Seuss “How the Grinch Stole Christmas,”we see the flashback of The Grinch as a child and how because he looks different: green and hairy as an eight-year-old he is taunted and teased by his classmates. Doris is cynical as a result of a bitter divorce so she’s raising her daughter to be practical and sensible. 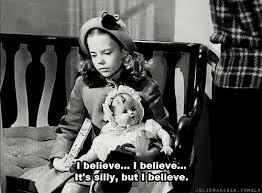 None of this believing in fairy tales and Santa crap. All was going well until Doris – the parade coordinator asks Kris to replace the drunken Santa originally set for the Macy’s Thanksgiving Parade. 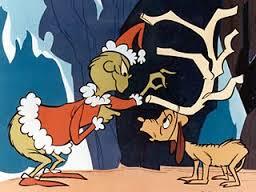 Kris is a big hit and becomes Macy’s official Santa resulting in a personal relationship with Doris and Susan. Here’s to Faith and Miracles!